The IRS is the most powerful collection agency in the U.S. With a seemingly unlimited amount of resources, the IRS is able to thoroughly investigate an individual’s personal and business financial background in order to collect any debts owed. Tax problems can be twofold in that individuals with federal tax debt can face both civil and criminal charges that may result in added interest and penalties, fines, and possible incarceration. My name is Norman D. McKellar, and I am a licensed tax attorney in Knoxville, Tennessee, handling both civil and criminal tax issues nationwide. I have been voted by my peers as a “Top Attorney” in Cityview Magazine for Income Tax and IRS Resolutions. I am also a member of the National Association of Criminal Defense Lawyers and the Tennessee Association of Criminal Defense Lawyers. Let me give you some free advice: The worst thing you can do if you owe taxes to the IRS is to do nothing. Most taxpayers panic when they can’t pay what they owe the IRS. Based on the simple fact that you’re visiting my website, I imagine that you’re different from most taxpayers in that you’re looking for answers, and more importantly, looking to take action. Fortunately, there are options for resolving tax debts, and it is in the best interests of people who owe those debts to work with an experienced attorney. Tax problems come in many shapes and sizes, and it’s important to have an attorney that can handle the individual tax problems you are confronting. This website certainly won’t provide you with all the answers, but I hope it gives you a brief overview of the types of services that I can provide. Once you’re ready to take action, contact my office at 865-566-0125 for a FREE telephone consultation. Not only does the Internal Revenue Service (IRS) enforce civil tax laws, but it can also impose criminal charges leading to a conviction, fines and imprisonment. If you are contacted by an IRS Criminal Division Agent, you should immediately contact an attorney prior to making contact with the Agent. By speaking with an Agent, you may jeopardize your chances of success and ultimately you may prove to be your own worst witness. Contact my office at 865-566-0125 for a FREE consultation and to discuss how we can protect your rights. If you are contacted by an IRS Criminal Division agent, you have the right to immediately contact a lawyer before speaking with the agent. If you speak to the agent without consulting an attorney first, you may jeopardize your chances of success and ultimately prove to be your own worst witness. 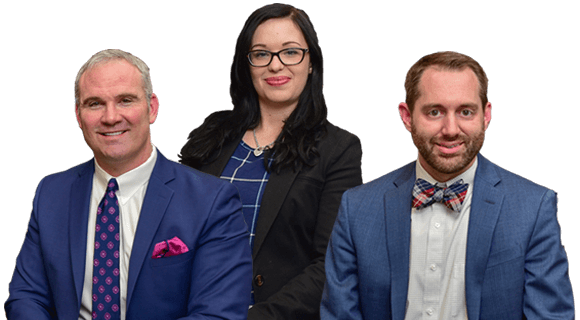 To retain our services or learn more about how we can protect you, contact McKellar & Easter, Attorneys at Law, by calling 865-566-0125 or filling out this contact form. We have experience handling all forms of federal crimes cases, including those concerning tax law. Appointments are available at any of our three offices: Knoxville, Tennessee; Nashville, Tennessee; and Atlanta, Georgia.